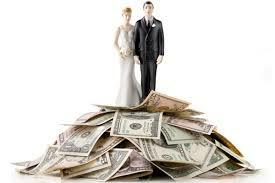 Oh, money… money… money… Well, isn’t money considered one of the top stressors in relationships? Yes! Why? because money touches everything in our lives—what we eat, what we drive, where we live, and how we live in general. Stress works in much the same way—no matter where it strikes us, it always seems to spread out and touch everything else in our lives as well. But when it comes to stress in your relationship, it’s very likely to be about how one of you is, or isn’t, handling money, and it can be a deal breaker.